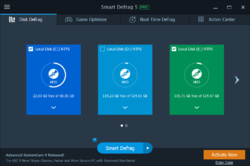 Smart Defrag Pro 5 was available as a giveaway on May 23, 2016! 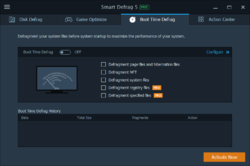 How would you improve Smart Defrag Pro 5? We asked the developers to resolve the issue with the activation of the product. The problem will be solved as soon as possible. Please, do not remove the installed copy of the product, as this will allow you to activate the software even after the end of the giveaway period. I installed and activated the program and each time I use it, it stops defragging or analyzing almost right away. So I uninstalled and installed it again and it does the same thing. What can I do? Managed to download and install and activate successfully on Windows Home Premium 32bit OS.. Thanks GiveawayoftheDay, Managed to download and install and activate successfully on Windows Home Premium 32bit OS.. Appears IoBit has corrected the Activation problem with Win 7 PC's Regards, Jeff. Why would anyone want to use a de-frag program other than the stock one that comes with the original OS for that drive ?? Phillip Lipton, I use Windows 10, and apparently defragmenting files larger that 64MB's option from command line has been taken off as an option with Windows 10 built in defrag. As far as I know, unless you use command line options then Windows Defrag doesn't defrag files over 64MB's, so if you have a lot of games and such it can miss a whole lot of items that need defragmenting. This program over the past has had really good reviews from what I have seen. Either way, the fact that it will do more than Windows 10 defrag is enough for me. Phillip Lipton, I use Windows 10, and apparently defragmenting files larger that 64MB's option from command line has been taken off as an option with Windows 10 built in defrag. As far as I know, unless you use command line options then Windows Defrag doesn't defrag files over 64MB's, so if you have a lot of games and such it can miss a whole lot of items that need defragmenting. This program over the past has had really good reviews from what I have seen. Either way, the fact that it will do more than Windows 10 defrag is enough for me. Phillip Lipton, because quite frankly, the one that's in windows isn't the most advanced by a longshot. It's core is old technology, and current modern defrags can do it faster, more efficiently, and safer. That doesn't mean the one of GotD is of that capability as I don't know that ones specs and stuff. But if it's not eating your drives, it's probably better than the one in Windows. I am not an IOBIT fan; I have some real problems with IOBIT and their programs. Oh, they have some great programs, don't get me wrong, but I just don't trust IOBIT. Be that as it may this program seems worth trying, but a one year license for a defrag; never heard of such a thing. JonE, Iobit fan? Forget the rest these people are the best. Been using for about 7-10 years and they are awesome! Installed & registered fine on Win 7 machine. 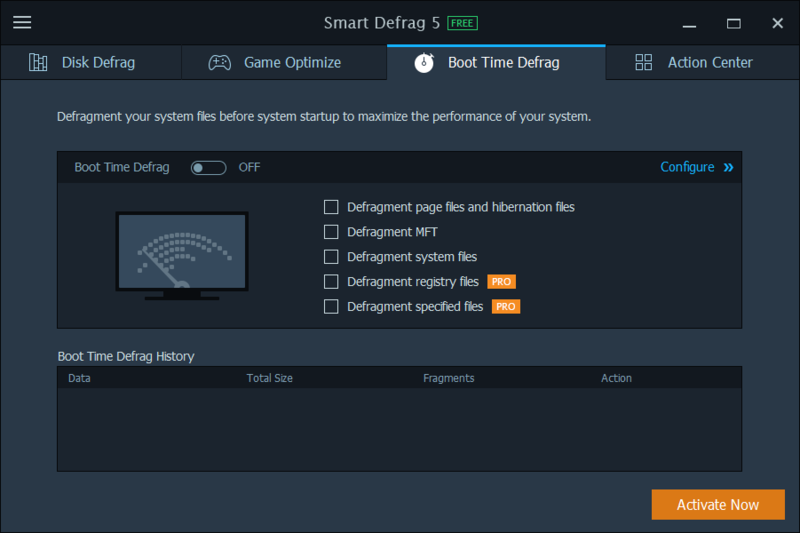 If I turn on Boot Time Defrag and select defrag page & hibernation files, MFT, system files and registry files, is the program smart enough to run TRIM instead of defragging the SSD? Thanks GOTD and IOBIT Installed & registered fine on Win 7 machine. I'm running a SSD as my C: and an HDD for D: On the Disk Defrag tab it ID'd my SSD correctly and (I assume) sets to run TRIM instead of defragging it. (If I'm wrong, please correct) If I turn on Boot Time Defrag and select defrag page & hibernation files, MFT, system files and registry files, is the program smart enough to run TRIM instead of defragging the SSD? The program doesn't seem to know that my C: drive in my Asus Transformer is a SSD. It calls it a HDD and it seems to have no way to correct this obvious error, so it's not very "smart". I'm running the latest Windows 10 insider release on that computer. Leo Waltz, next to the HDD icon are two arrows, click on them and it will recognise the drive as a SSD now. Yes that worked! Hard to notice on a small window on a small screen and well hidden. Roger, Yes that worked! Hard to notice on a small window on a small screen and well hidden. Entered key, says it is no good, maximum number of machines has been reached, get another key..
Would you be so kind as to contact our support team at giveaway@giveawayoftheday.com and provide them with a screenshot of this error? We will try to resolve the issue ASAP. Mike, I got the same results. The key in the readme file has been exhausted. Need a new key or the original one extended. Ned, Perhaps it's because I had v4 installed prior to installing V5. Had to uninstall V4, now I don't have either. Giveaway of the Day, Are we going to get a fix for this or should we just forget about being able to register Smart Defrag Pro? I sent you a screenshot of the problem as requested but have had no response. Please, see the comment at the top. So sweet of IObt to inactivate all their previous giveaways when I install the latest promotion. This one will only last until the next promotion I presume. Ghalid, sounds like something SoftOrbits is known to do . . . Perhaps it's SoftOrbits that you're thinking of? Richard Sebire, I've been using iObit freeware for over 8 years now and have had zero problems with any of their wares (freeware/giveaways). iObit may not have the best software out there but it's not harmful to your computer. I had been using the free version on windows 7 for the last few weeks. its easy to use and has caused no problems. During the installation you are asked if you want to install other programs (cant remember what..), press "skip" to avoid installing them.. The registration key is in the text file that comes in the download. its entitled "readme". Always a good idea... I had been using the free version on windows 7 for the last few weeks. its easy to use and has caused no problems. 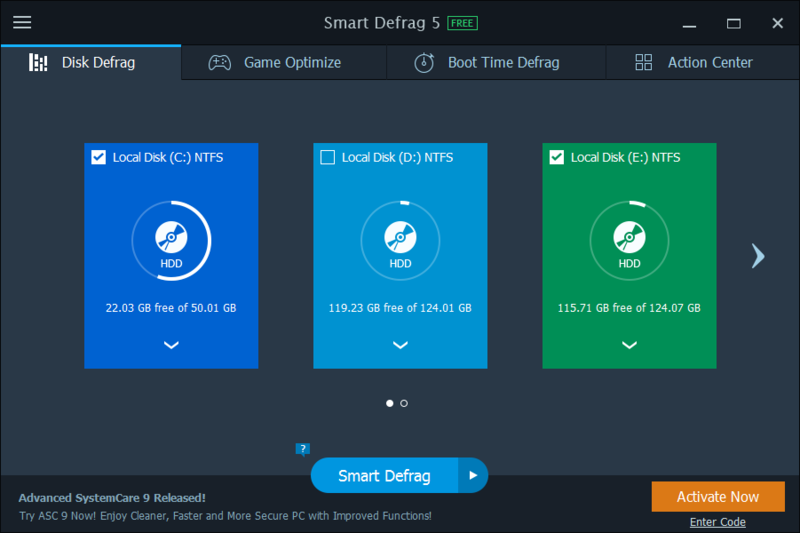 During the installation you are asked if you want to install other programs (cant remember what..), press "skip" to avoid installing them..
"Best Free Disk Defrag Software - Smart Defrag by IObit"
Why is there no mention of a charge or price on the page? I'm a little bit confused where does one BUY this "Best Free Disk Defrag Software" and why would one buy it when it's alledgedly "Free"? If there is a Pro version where is the page for it listing the Pro moniker and price and feature comparison? I smell a deception of some kind! This is supposed to be commercial software so why does the title on the page the "Homepage:" link take us to say: "Best Free Disk Defrag Software - Smart Defrag by IObit" Why is there no mention of a charge or price on the page? I'm a little bit confused where does one BUY this "Best Free Disk Defrag Software" and why would one buy it when it's alledgedly "Free"? If there is a Pro version where is the page for it listing the Pro moniker and price and feature comparison? I smell a deception of some kind! TK, the Pro version has more feature than free version. For example, a better boottime defrag, and automatic background defragging. If you install it, and take a look at the options before activating it, you will see what features are only available in the Pro version. It has installed the free version, how do I get the registration key for the Pro version please? I did read the readme.txt file however, it only gave details of the changes to version 5. I then redownloaded the zip file and this one contained the serial number. 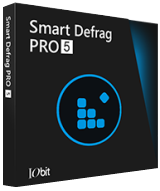 What is the difference between this Giveaway and Smart Defrag 5 - the FREE version that's on your website? Also, how is this better than the version that comes with Win 7? Powder_Skier, the Pro version has some extra features such as auto defrag. The included defragmanter in Windows 7 works very well. 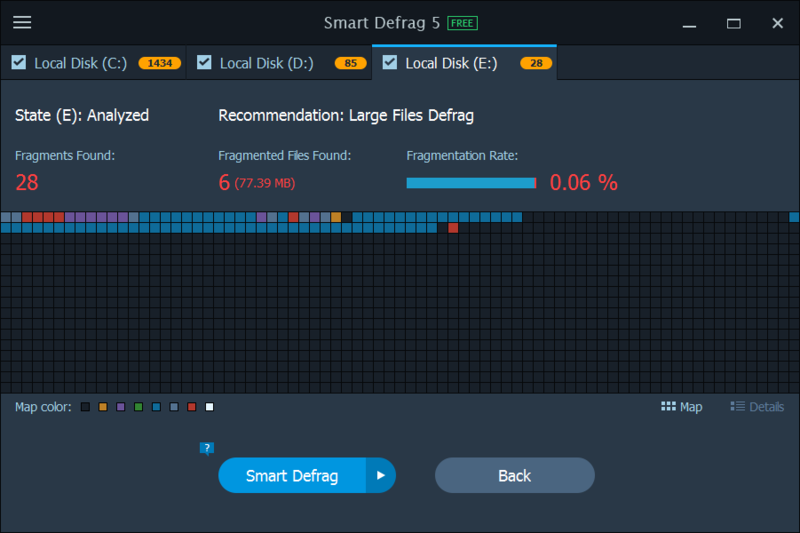 Smart Defrag and other defagmenters have more features (e.g. automatic defragging), and sometimes will work better than Microsoft's defragmenter. Powder_Skier, the Pro version has some extra features such as auto defrag. The included defragmanter in Windows 7 works very well. 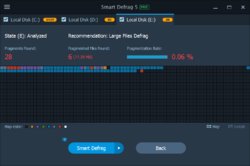 Smart Defrag and other defagmenters have more features (e.g. automatic defragging), and sometimes will work better than Microsoft's defragmenter. One year license, does that mean no more updates after that? Or does the program stop working altogether then? Corno, after 1 year it would revert to the free version. and so far less is more. Will check back end of day to read comments if people tried it. Roger, thanks for clarifying. Passing since with SSD debates about whether or not to use these programs I'm on caution side. Sticking w/ whatever Windows 10 x64 Pro does and so far less is more. Will check back end of day to read comments if people tried it. beergas, this is safe to use on a SSD, as it will only issue trim commands rather than defragging it. Roger, thanks for info. I've used the TRIN feature on s/w bundled w/ h/w and was ok. Does seem the main suspect was the defrag part if user posts correct past years.